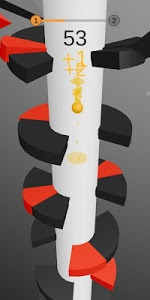 Helix Ball is super simple to learn yet insanely addictive to play. 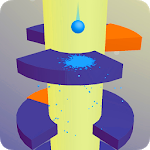 Try to experience the adventure of the bouncing ball through the helix tower labyrinth. Do you like Slides or Spiral? Helix Ball is made for you! 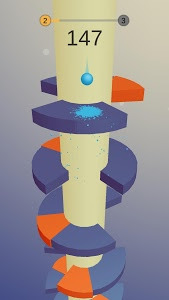 * Be careful not to let the jumping ball hit the different planks in the helix maze or its game over! * Collect diamonds in your journey and unlock more balls! Do not miss your jump - do not fall off the edge! 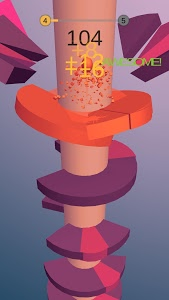 Helix Ball arcade tower bounce spiral is jumping bonus hoodoo bouncing. Infinitely slide down the helix, but be careful, you are not a kid anymore! Jump over the pits and obstacles, avoid objects shooting at you. 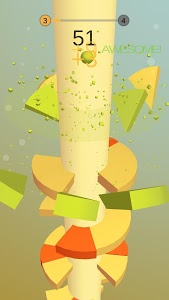 Bit your high score and compete with others to hit the best score in the world!